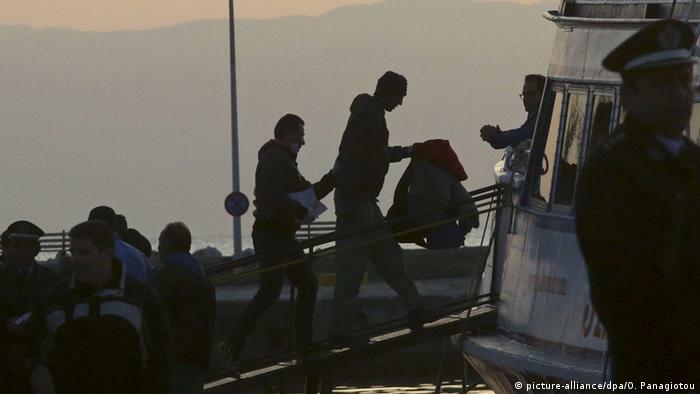 The German Interior Ministry said it had reached an agreement with Greece on Friday that will see it send back certain asylum seekers. Germany is seeking to strike a number of deals with southern European countries that would allow the federal government to return migrants who have already lodged an asylum request in another country. What does the German-Greek compromise look like? Athens will agree to take back all asylum-seekers who initially applied in Greece but ultimately moved to Germany by passing through the German-Austrian border. It remains unclear what Greece will receive in return. However, in a similar deal with Spain, Berlin pledged to help curb the number of migrants crossing the Mediterranean from Morocco. The deal is unlikely to affect many refugees. According to the German Interior Ministry, only 150 migrants who applied for asylum elsewhere have entered Germany through Austria since mid-June. Remnants of a government crisis: Germany’s spate of bilateral migrant deals with southern European states come in the wake of Chancellor Angela Merkel’s compromise with her interior minister, Horst Seehofer, which ended a week-long disputed that threatened to split the ruling coalition. Seehofer initially threatened to shut Germany’s southern border to halt the flow of migrants into the country before allowing Merkel to attempt to strike her own deals with the Mediterranean states. Deal with Italy still some way away: Berlin is still seeking to reach a similar compromise with Italy. A spokesperson for the Interior Ministry has said negotiations are well advanced, although Italian Interior Minister Matteo Salvini, who heads the anti-migrant League party, could be unwilling to compromise. Merkel indicated last week she would be willing to travel to Italy to negotiate herself if necessary. This article was originally published by DW.